The Lawrence Halprin Exhibition, created by The Cultural Landscape Foundation (www.tclf.org), finished its run at The National Building Museum in Washington, D.C. and headed to The Palace of Fine Arts in San Francisco, CA. The exhibition will stay in this city where so much of Halprin's work is nearby, until September 4, 2017. Check it out if you are in the area and then get outside and enjoy the work itself! 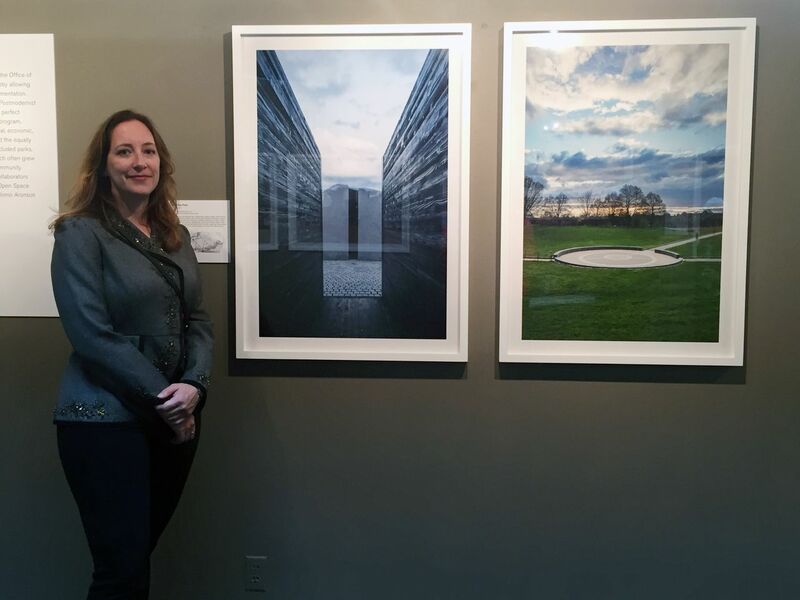 This photo shows my two images from Babi Yar Park in Denver, Colorado. They are part of the exhibition.